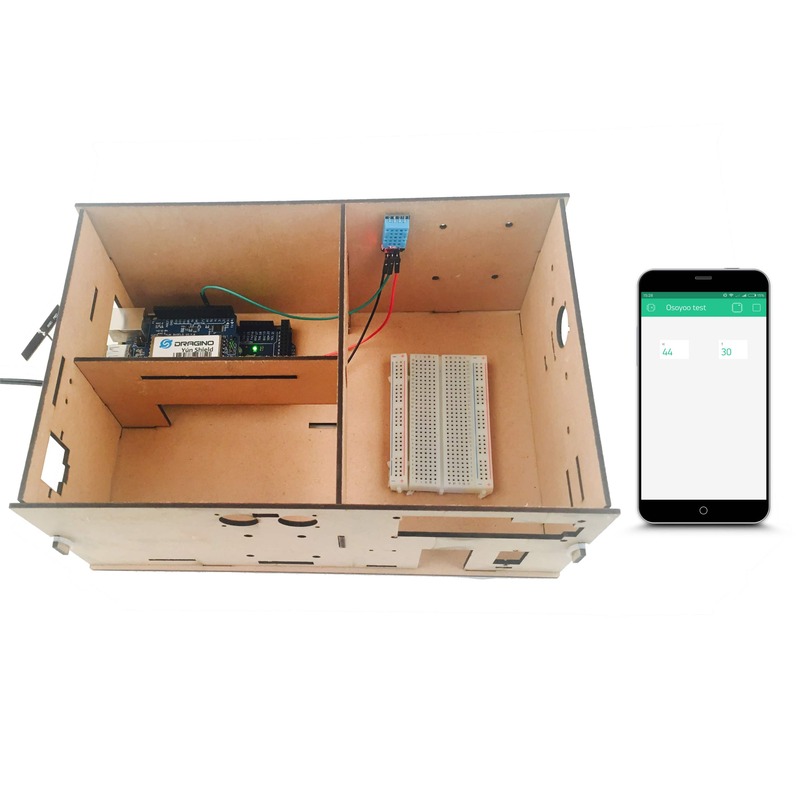 In this lesson, we will show how to use the Osoyoo Yun IoT Kit to get DHT11 data remotely, this example shows how value can be pushed from Arduino to the Blynk App. Here we connect the signal pin (S) to digital pin D5. In this example, you need to add two value display widget. Tap anywhere on the canvas to open the widget box. All the available widgets are located here. Now pick the value display. 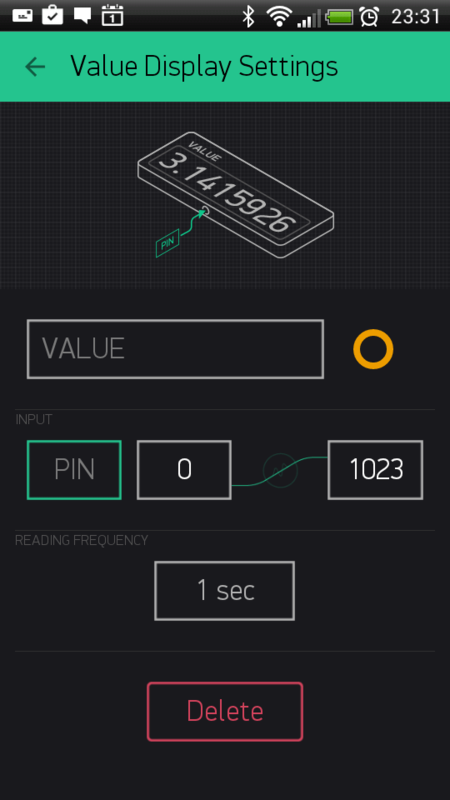 After you finished all above operations, open the serial monitor,then open the Blynk APP, press the PLAY button. This will switch you from EDIT mode to PLAY mode where you can interact with the hardware. While in PLAY mode, you won’t be able to drag or set up new widgets, press STOP and get back to EDIT mode. Now, you can see the temperature and humidity remotely!